This is The Tedeschi Trucks Band putting on an awesome performance at the opening night of the Crossroads stage at the 2016 Byron Bay Bluesfest in Australia. 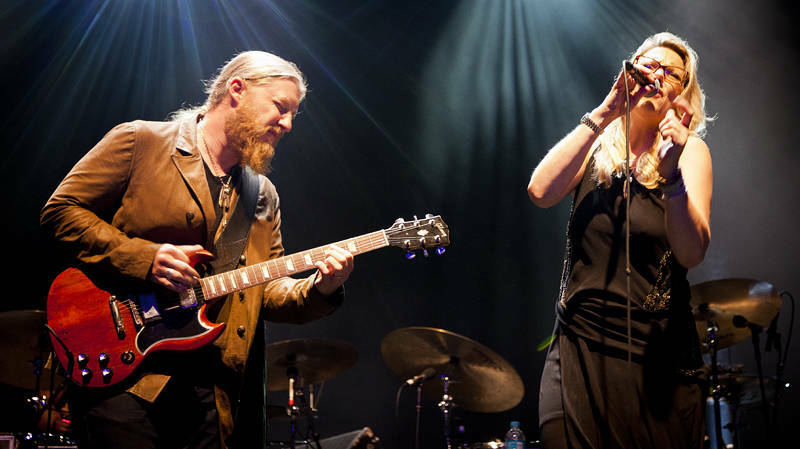 Husband and wife team of Susan Tedeschi and Derek Trucks were backed by a powerful brass section, a talented set of backing singers, dueling drummers and a Hammond organ fattening out their grooves. The spirit of the blues is certainly alive and kicking in this corner of New South Wales and there is four more days of music to come at this festival. Watch this space for more photography of the bands.